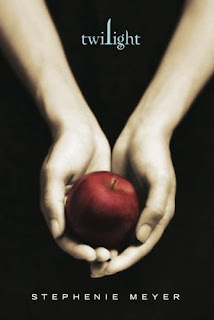 I just finished reading "Twilight." I give it 3 stars out of five. Unlike some of my friends who are addicted to the series by Stephanie Meyer, I am absolutely not charmed by the first book (not that I have read all of the four books of the series). I guess I am just not thrilled by the fact that the book is written from the first person point of view. I have never noticed before that books or stories that are written from the first person point of view could turn me off so quickly. I am not sure why that's the case but I just can't stand having to read "I" "My" "Mine" "Me" all the time. It's exhausting to my mind. One last bad thing to say about "Twilight" is that I seriously don't like the main character, Bella. She is so unlikeable. Her character is so, for the lack of better description (does this happen to English majors often? ), lame. I don't know how anyone can be sooooo... physically weak. She can't do anything without hurting herself (c'mon, is that even realistic?). I do have to confess that one of the reasons (just a very insignificant reason, okay) is I am jealous at how she could win the heart of the most perfect being in the whole fiction world. It's toooooooooooooo annoying! It's a nightmare!